This is the first time that Mahindra is getting the voice command technology on its new Mahindra XUV500. Previously there was no voice command technology in any of the Mahindra cars expect the very stylish and highly sporty Scorpio SUV. The voice command feature of the Scorpio was not very good and it could only alert the driver and the passengers to put on the seat belts or weather the doors are closed or not. The newly launched Mahindra Xylo also has this technology, but the voice command feature of the new Xylo is far more advanced compared to the one seen in Scorpio. Mahindra is planning to include high featured voice command in the XUV500 somewhere around October this year. This high featured voice command system will instruct the driver to start the wipers, handle the cell phone, manage the sound system, headlights and some other features only through voice instructions. This new system will be having some rich features, which are already getting good response in the global market. The system is also capable of understanding Indian accents. 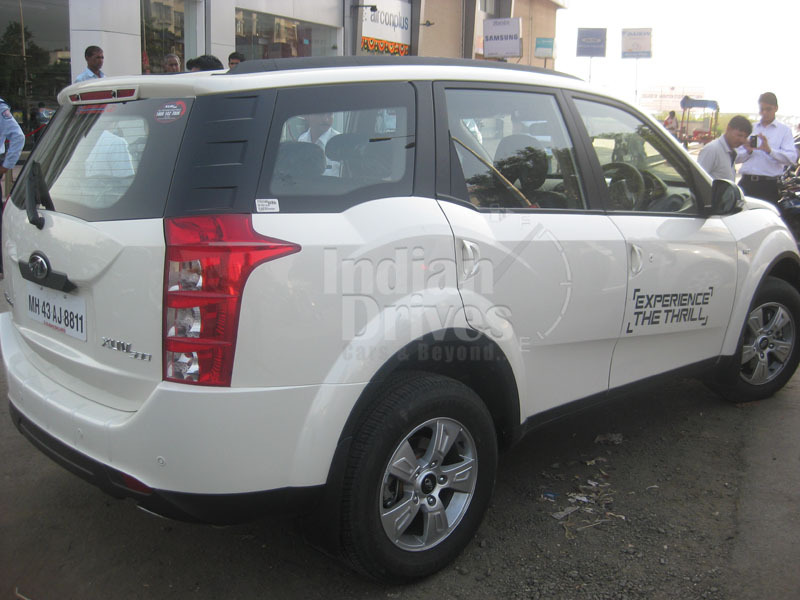 The Mahindra XUV500 is already getting a thumping response from the consumers. It has already registered more than 25,000 bookings in the second phase in just 10 days. It is fitted with a mHawk engine, which is one of the most powerful engines in the market today. The engine is capable of delivering a max power of 140bhp and a peak torque is 330Nm. It has been mated to a six-speed manual transmission. The most interesting feature about this car is that in its navigation it has got info on more than 1.5million kilometers of Indian road through GPS. For business class people it has a laptop holder as well. It will be available in Satin White, Volcano Black, Amazon Green, Moondust Silver, Tuscan Red, Opulent Purple and Dolphin Grey color options. The vehicle is Technology exemplified and at its luxurious best. The Mahindra XUV500’s authoritative exterior promises unbridled excitement and the technology built into the car ensure that the performance of the car lives up to the promise. It also has Blue sense technology and some intelligent features like rain and light sensors. It has electronic stability program like anti-braking System, electronic brake-force distribution and Rollover Mitigation and Traction Control. All the controls are mounted on the steering wheel so the driver does not have to stretch his/her hands.